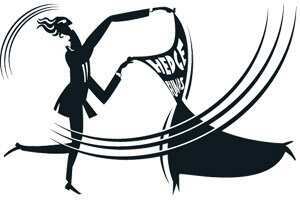 Are hedge funds objects of desire? In their paper, Eshraghi and Taffler have a novel take on the rise and fall of hedge funds. They say that instead of being vehicles intended to diversify investments across non-traditional asset classes, hedge funds were transformed “in the minds of investors, into objects of excitement and desire, with their unconscious representation dominating their original investment purpose". The reason: the glamour, secrecy and exclusivity attached to hedge funds, the star billing they received in the media being partially to blame. The industry, of course, did all it could to build up this image. The authors point out, “The hedge fund industry’s unofficial 2006 Annual Conference, Hedgestock, which took place at a stately home just north of London with the slogan ‘Peace, Love and Higher Returns’ consciously sought to appropriate the trappings of the generation of Woodstock." The point is a simple one: investors, even supposedly sophisticated ones who put their money in hedge funds, need to be protected from their own overheated fantasies. Bankers are now being reviled as villains, responsible not just for the financial crisis but also shamelessly appropriating profits and bonuses from the public funds used to rescue them. Do bankers really benefit disproportionately from booms? Do they increase inequality in a country? These are the questions studied by Tobias Wuergler of the University of Zurich. Wuergler shows that, in countries such as the US where deregulation led to the emergence of a vast financial sector, the more skilled and brighter graduates are attracted to the sector, with the result that Wall Street had to employ hordes of mathematicians, information technology engineers and quantitative finance specialists to handle their highly complex products. 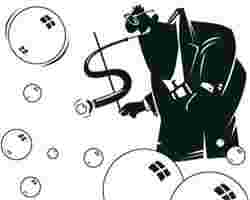 Asset bubbles are good for bankers because their remuneration is typically a percentage of the value of the transaction. Wuergler quotes a recent empirical study by Philippon and Reshef (2008)—using wage and employment data for the US, they documented that “financial jobs were relatively skill intensive, complex, and highly paid until the 1930s and after the 1980s, but not in the interim period". That’s because deregulation and consequently financial innovation was pervasive before the 1930s and after the 1980s but not in the intervening period. Is the remedy to clip the wings of the bankers then? Not so fast, says Wuergler, making a distinction between the good bankers who do the boring work of traditional intermediation and the evil ones who do “bubble intermediation". Support the former, he says, but curb the latter.